“…youth volunteers of the Voluntary Initiatives Network Society participating in workshop sessions that aims to organize volunteers’ efforts in Jordan. [The queen] attended part of a workshop session that divided volunteers into five different categories based on fields they serve in: education and development. target groups, knowledge building and awareness, environment and tourism and maintenance. On Monday, June 17, 2013, His Royal Highness Prince Felipe of Asturias accompanied by the Prime Minister of Spain, Mr. Mariano Rajoy, and dozens of other government officials participated in the inauguration of the AVE Madrid-Alicante high-speed train route. And, that’s it. On the morning of June 17, 2013, His Royal Highness Prince Philippe of Belgium arrived at the Palais des Académies in Brussels to participate in the General Assembly of the Club of the Rome EU chapter’s academic session. The prince is Honorary President. In the evening the prince accompanied by Her Royal Highness Princess Mathilde of Belgium and Their Majesties King Albert II and Queen Paola of Belgium attended the closing concert of the 2013 Concours Reine Elisabeth Piano according to the Belgian royal court. On Monday, June 17, 2013, Her Majesty Queen Elizabeth II accompanied by His Royal Highness The Prince of Wales, His Royal Highness The Duke of York, Her Royal Highness The Princess Royal, His Royal Highness The Earl of Wessex, and His Royal Highness The Duke of Cambridge attended service for the Most Noble Order of the Garter at St. George’s Chapel at Windsor Castle. Prior to the service Her Majesty, Their Royal Highnesses along with other Knights of the Garter “…walked in procession from Windsor Castle to the chapel…” according to Buckingham Palace. 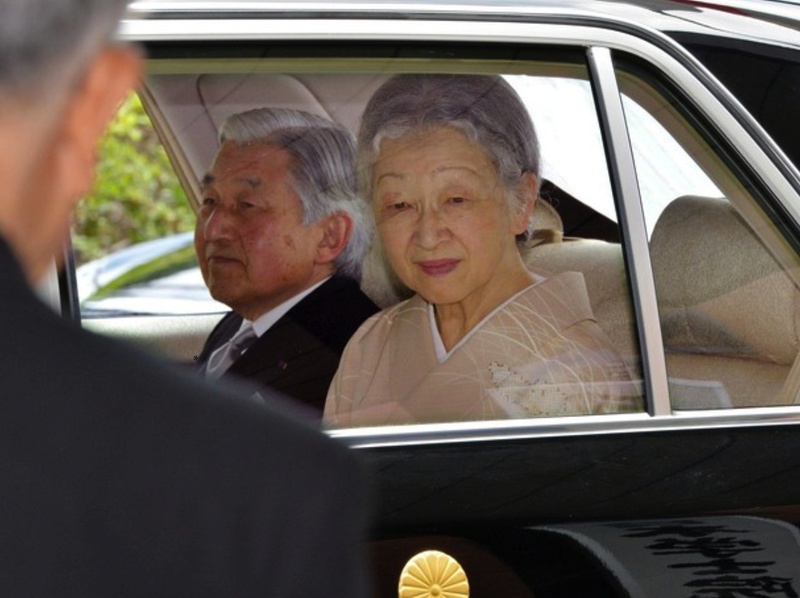 On the morning of June 17, 2013, Their Imperial Majesties Emperor Akihito and Empress Michiko of Japan arrived at the Japan Academy headquarters in Ueno Park, Tokyo, to attend the 2013 Japan Academy Prize. Each year the prize is awarded to an individual who has “…achieved notable research landmarks or who has authored outstanding academic papers or books.” The winner of the 2013 Japan Academy Prize went to Professor Jun Matsuura, specializing in European Literature, from the University of Tokyo.